Nearly half of American jobs today could be automated in "a decade or two," according to new research. The question is: Which half? Many extrapolations of phones from the early 2000s were just "the same thing, but smaller." 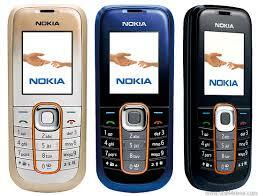 It hasn't turned out that way at all: Smartphones are hardly phones, and they're bigger than the Nokia 2600. If you think wearable technology or the "Internet of Things" seem kind of stupid today, well, fine. But remember that ten years ago, the future of mobile appeared to be a minuscule cordless landline phone with Tetris, and now smartphones sales are about to overtake computers. Breakthroughs can be fast. Computers that can drive cars, in particular, were never supposed to happen. Even ten years ago, many engineers said it was impossible. Navigating a crowded street isn't mindlessly routine. It needs a deft combination of spacial awareness, soft focus, and constant anticipation--skills that are quintessentially human. But I don't need to tell you about Google's self-driving cars, because they're one of the most over-covered stories in tech today.